Rent Monarch | Arredon Contemporary | Corporate Events | Wedding Locations, Event Spaces and Party Venues. Are you tired of hosting events in the same old tired venue where the walls are bare. 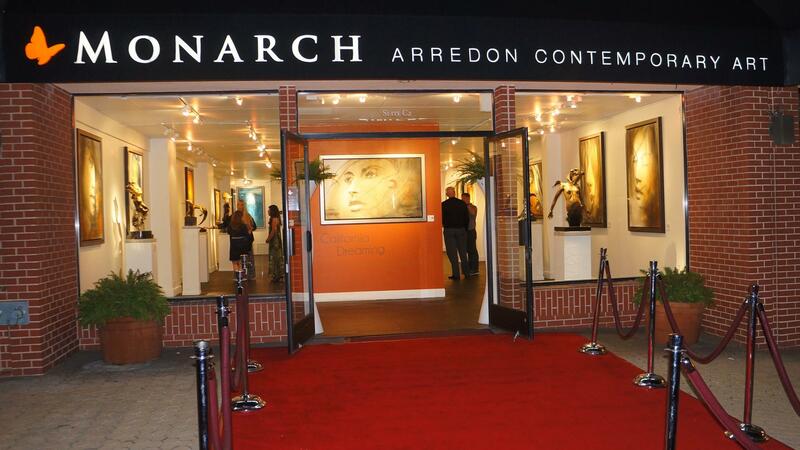 Monarch | Arredon Contemporary has held receptions, educational events, holiday parties and product launches. The best part is we change our exhibition every three months so the experience will never be the same! Our La Jolla, CA Gallery hosts all types of events and meetings. When only the best will do – choose The Monarch Arredon Contemporary. From a San Diego, CA meeting space for corporate functions and networking events, to birthdays and launch parties, our exceptional facility and services, we endeavor to meet and exceed your every expectation. Every private event held at our world-class Gallery is unique and customized to specifically reflect your individual style and taste, incorporating elements such as exquisite artists from around the world, fanciful floral arrangements and decor.